How can I update my information in the questionnaire? 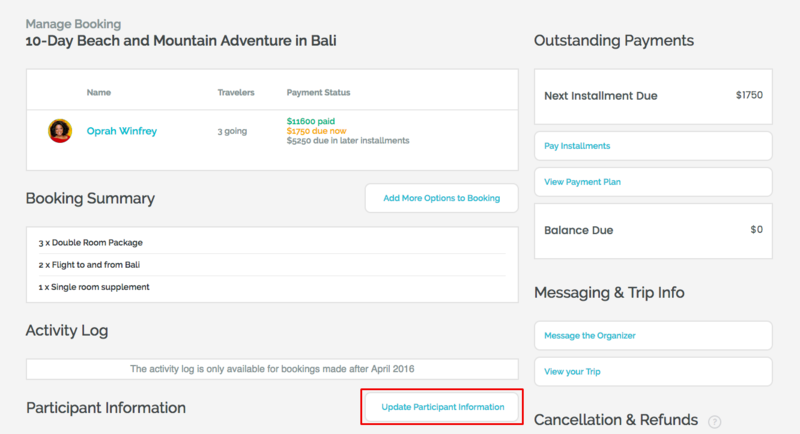 Learn how to update information in the participant questionnaire after already booking a trip. You have already booked a trip but want to edit the information you entered in the participant questionnaire? That's easy to do and you can do it at any point after booking the trip. Just sign in to your WeTravel account and go to 'My Trips'. Click on 'Manage Booking'. Click on 'Update Participant Information'. You will now be able to edit all of the fields, even your first name, last name and email. 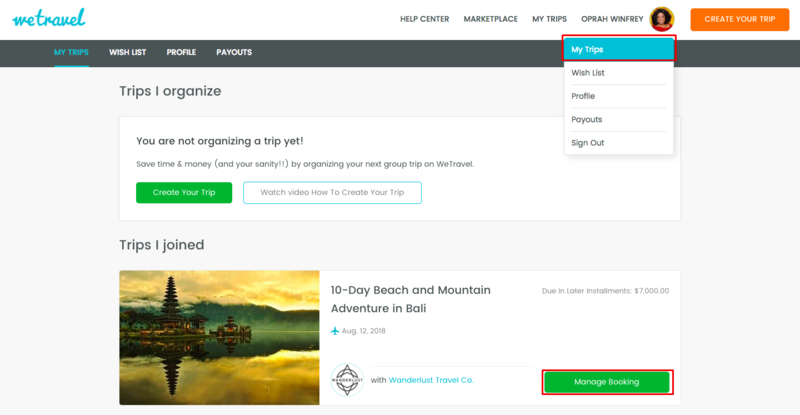 This is useful if you're booking the trip for someone else. Once you're ready, scroll down, click the Update Information button and you're done!